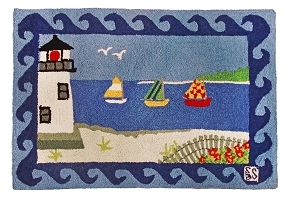 Why wait until your next beach vacation to enjoy the enchantment of the sea? 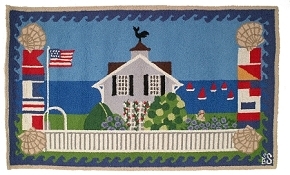 Bring home the magic of the seaside with a gorgeous nautical rug from Michaelian Home. 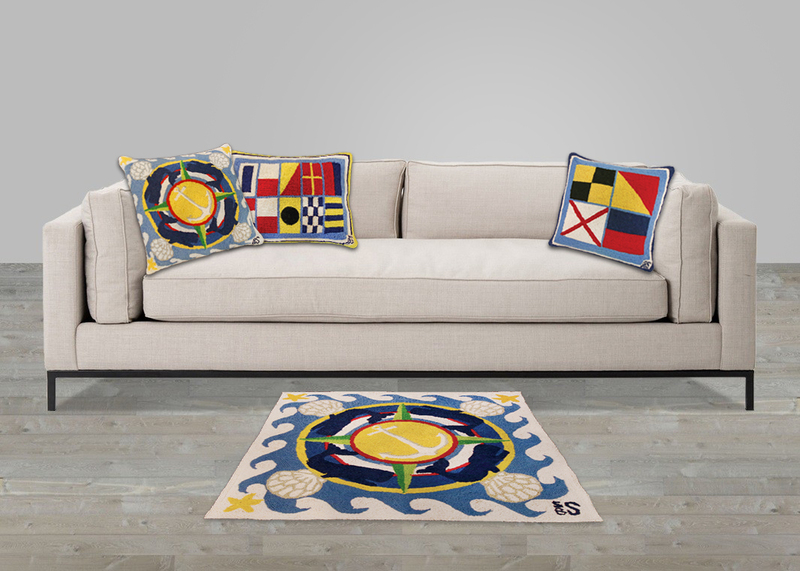 Conjuring the beauty and mystery of the seaside, our nautical rugs are hand hooked with care and with an eye for detail. 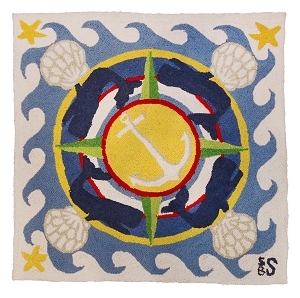 All of our nautical rugs for sale are made from 100% wool and feature a durable cotton cloth backing, all at an affordable price. 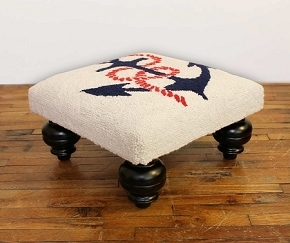 Our handmade nautical rugs are made the traditional hand hooked way. The first step is designing the imagery, colors, and patterns we want. 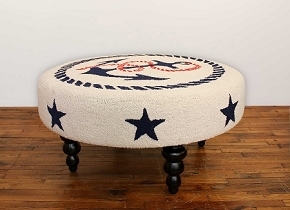 Once the design is ready, it’s stenciled on the rug surface, and our expert needle artists insert tufts of wool by hand, loop by loop, for an almost embroidered appearance. 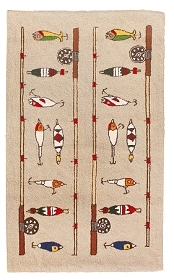 To finish our handmade wool rugs, we apply a backing of cotton cloth. 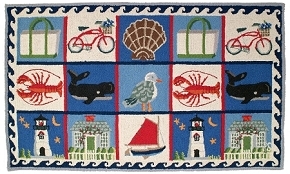 When it comes to designing our exclusive line of nautical rugs, we draw inspiration from seaside imagery and folklore. 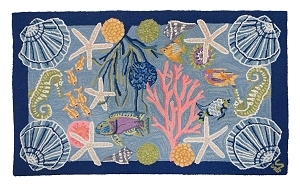 Add a beachy, breezy touch to any room with beautiful, high quality rugs in rich colors and patterns inspired by the sea. 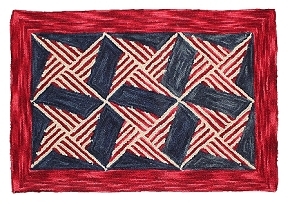 We are proud to offer all of our rugs in custom sizes. 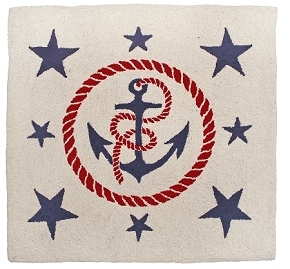 Our nautical inspired rugs come in a range of popular sizes including 3 x 5 foot and 8 x 10 foot area rugs. 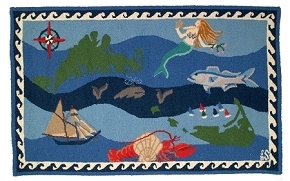 From seashells to mermaids, seagulls, and anchors, our classic line of nautical rugs means your next vacation is only steps away.